The best time to plant a tree was 20 years ago. The second best time to plant a tree is right now. Once again, my answer is simple: now is the best time to open a Roth IRA. 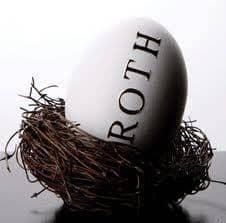 You should open a Roth IRA as soon as you earn income. There is no age limit to opening a Roth IRA – you just have to make money. So, if you’re 16 and working your first job, you can take that money, up to the limit, and invest it in a Roth IRA. You can do that at any age, as long as you earn income. Just like we talked about the other day, the power of compound interest is key – so the sooner you open a Roth IRA, the better you’ll be in the future. Plus, I love the Roth IRA because when you do retire and need the money, you can withdraw it from your account tax free. You won’t need to worry about having more money to cover the taxes – what you see is what you get. There are a lot of other reasons to start a Roth IRA sooner, rather than later. First, if you plan on making a lot of money, you won’t always be able to contribute to a Roth IRA. There are income limits, which you can find on the IRS website. So, if you plan on making a lot of money, take advantage of the early years when you can contribute. Second, all of your contributions can be withdrawn at any time – tax free. Your money is your money, so don’t feel like your contributions are trapped. Only your earnings are trapped, and you have to pay a penalty to withdraw them early. However, you can withdraw up to $10,000 of your earnings to buy your first house, as long as you’ve had the account for five years. So, if you’re young and saving, you can still use your Roth IRA to help you out (although I don’t recommend it). So, how do you get started with a Roth IRA? Simple – check out my free video training on how to get started. I walk you through step by step with a video screenshot of my computer and show you exactly how to open your first Roth IRA. I promise you, that after watching the video, you will have a Roth IRA opened in your name that you can start using to front load your life!